Baodan Tian, Shouming Zhong, Ning Chen and Xianqing Liu. Impulsive control strategy for a chemostat model with nutrient recycling and distributed time-delay. Mathematical Methods in the Applied Sciences, 2014, 37: 496–507. Baodan Tian, Shouming Zhong, Ning Chen et al. Dynamical behavior for a food-chain model with impulsive harvest and digest delay. Journal of Applied Mathematics, Volume 2014, Article ID 168571, 1-12. Baodan Tian, Liu Yang, Shouming Zhong. Global stability of a stochastic predator-prey model with Allee effect. International Journal of Biomathematics, 2015, 8(4), 1550044. Baodan Tian, Ning Chen, Yanhong Qiu. Some basic differential models in mathematical biology. Journal of Bioequivalence Studies, 2015, 1(1): 103. Yucai Ding, Hui Liu, Baodan Tian. Improved stability criteria for Markovian jump systems with time-varying delays. Abstract and Applied Analysis, Volume 2014, Article ID 248061, 1-9. Xianqing Liu, Shouming Zhong, Baodan Tian and Fengxia Zheng. Asymptotic properties of a stochastic predator-prey model with Crowley-Martin functional response. Journal of Applied Mathematics and Computing. 2013, 43: 479-490. Ning Chen, Baodan Tian, Jiqian Chen. Blow-up solutions to a class of generalized Nonlinear Schrodinger equations. Applied mathematics & Information Sciences, 2012, 6(3): 881-886. Yanhong Qiu, Baodan Tian. Generalized G’/G-expansion method and its applications, International Mathematical Forum, 2011, 6 (3): 147- 157. Ning Chen, Baodan Tian, Jiqian Chen. Some Random Fixed Point Theorems and Comparing Random Operator Equations, Applied Mechanics and Materials, 2011 53(1):127-132. Baodan Tian, Yanhong Qiu, Ning Chen. Periodic and almost periodic solution for a non-autonomous epidemic predator-prey system with time-delay. Applied Mathematics and Computation, 2009, 215(2): 779 – 790. Baodan Tian, Yanhong Qiu, Ning Chen. Exact Solutions for a Class of Boussinesq Equation. Applied Mathematical Sciences, 2009, 3(6): 257-265. Yanhong Qiu, Baodan Tian. Persistence for a Food-chain System with Nonlinear Functional Response and Time Delay. Journal of Xuzhou Institute of Technology, 2008, 23(4): 37-40. Hailing Wang, Shouming Zhong, Baodan Tian. Permanence and Existence of Periodic Solutions of a Predator-Prey Patchy Model with Dispersal and Time Delay. Journal of Biomathematics, 2007, 22(1): 25-36. 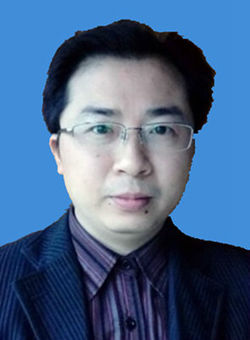 Baodan Tian, Xiaohong Fang. On a non-autonomous Diffusive Prey-predator System with Continuous Time-delay and HollingIV Functional Response. Journal of Southwest University for Nationalities (Natural Science Edition), 2005, 31(3): 346- 350. Baodan Tian, Ning Chen, Yanhong Qiu. Almost Periodic Solution for an Epidemic Prey-Predator System with Impulsive Effects and Multiple Delays. Discrete and Dynamics in Nature and Society, 2015, 2015: 1–15. Baodan Tian, Yunguo Jin, Shouming Zhong, Ning Chen. Global stability of an epidemic model with stage structure and nonlinear incidence rates in a heterogeneous host population. Advances in Difference Equations, 2015, 260: 1–13. Baodan Tian, Shouming Zhong, Zhijun Liu. Extinction and persistence of a nonautonomous stochastic food-chain system with impulsive perturbations. International Journal of Biomathe -matics, 2016, 9(5): 1650077, 26 pages. Baodan Tian, Daquan Xian, Yanhong Qiu. New exact solutions for a (1+1)-dimensional Chemotaxis model. Journal of Biomathematics, 2015, 30(4): 593-598. Baodan Tian, Shouming Zhong, Liu Yang and Xianqing Liu. A Viral Infection Model with Lytic Immune Response and Periodic Medication Strategy, Proceedings of the 2013 International Conference on Advanced Computer Science and Electronics Information, 2013, 1: 364-367. Ning Chen, Baodan Tian, Jiqian Chen. On Certain classes Ginpin-Ayala Model with Impulsive Diffusion. Proceedings of the 5th international congress on Mathematical Biology, 2011, 2(1): 60-67. Baodan Tian, Yanhong Qiu. Exact and explicit solutions for a reaction-diffusion equation, Proceedings of the 7th Conference on Biological Dynamic System and Stability of Differential Equation，2010, 1: 279-282. Ning Chen, Baodan Tian, Jiqian Chen. A class of new fixed point theorems for 1-set-contractive operators and some variational iteration method. International Conference on Test and Measurement, 2010, 1:214-217. Ning Chen, Baodan Tian. Blow-up of solution for G-L type equation in population problem, 2009 International conference on apperceiving computing and intelligence analysis proceeding, 2009: 84-87.